Reminding us that “catching them all” is as futile a goal as anything else in our dumb, distraction-prone lives, developer Niantic has announced that it’s finally adding new monsters to Pokémon Go. 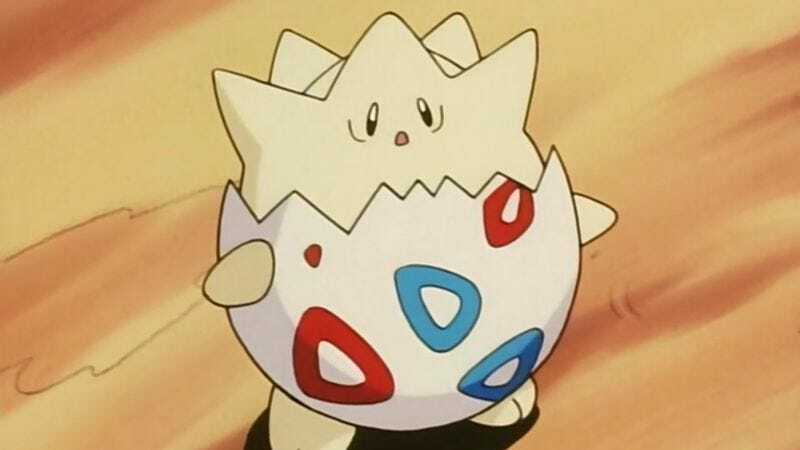 Pokémon from the second generation of the long running game series—Pokémon Gold, Silver, and Crystal—will now hatch from eggs, even though at least one of them, Togepi, already lives in an egg, which just seems kind of confusing to us. The new monsters—which also include Pichu and unnamed “select others”—are presumably part of Niantic’s latest effort to get users to dust off their Pokédex, sweep the built-up Pikachu crap out of their boxes, and dip back into the game. The developer launched a similar effort back in October, offering increased candy drops and a spate of spooky ghost Pokémon for Halloween, and has been devising partnerships with companies like Sprint and Starbucks to lure people back to Pokémon Go. Surprisingly, though, there’s been no attempts to tie Go into the recently released Pokémon Sun and Moon, despite the fact that at least some of the enthusiasm for those latest entries stems from the mobile game’s sudden success when it was released back in July.